College football is a great American sport that draws millions of viewers each season. The thrill of the game and the ambience of the stadium can get any fan excited, but we all know what we actually go to the games for–the halftime show. We dance and sing along to the band’s rendition of our favorite musical numbers, and we watch their movements and transitions in amazement. As we scan the field to take all the excitement in, our eyes are instantly locked on the shining star of the performance–the feature twirler. She is the show stopper, simply because she is so amazing. She wears her sequined costume with flawless makeup and not a hair out of place. Most importantly, she twirls her baton so gracefully. She makes such a difficult task seem effortless as she pirouettes around the field, all while giving her thousands of spectators a smile. To kick off homecoming weekend, The Spread had the honor to talk with the feature twirler of the Marching Illini, Amelia Mugavero. Amelia has a lot to live up to. 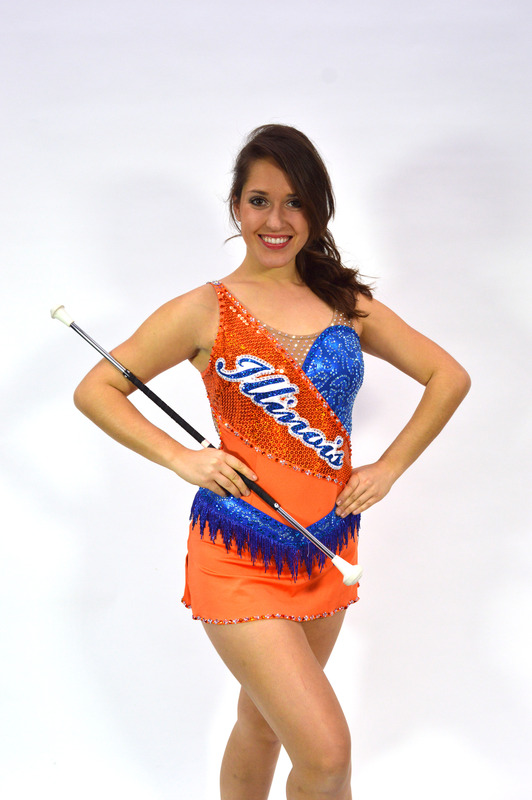 As the first feature twirler on the Marching Illini in over a decade, Amelia has every reason to be nervous every time she steps out on that field and in front of thousands of eyes. However, she feels calm, like no one is there. She feels as if there is no pressure on her, and that is why she rocks the stadium every game. Born and raised in Dallas, TX, beauty, grace, and southern charm come easily to Amelia. At the age of four, she began taking dance, gymnastics, and baton twirling. Amelia told The Spread, “My mom always had a dream of having a little girl and getting her into baton twirling. When I was four years old I just wanted to wear the sparkly costumes. 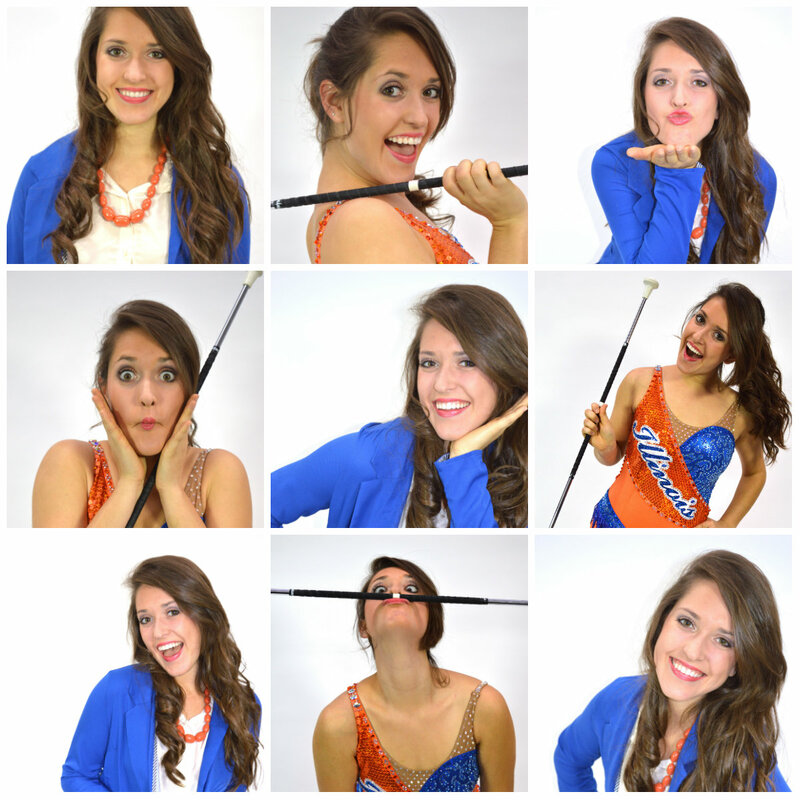 I had no life long dreams [to be a twirler], I just loved what I was doing.” Amelia’s passion for glitter and her mother’s dream of seeing her daughter on a collegiate football field would soon turn into reality. After seeing the feature twirler for the University of Texas marching band at the age of ten, she was inspired to seriously pursue baton twirling. Soon after, Amelia enrolled in the United States Twirling Association, one of the most prominent twirling associations in the country. With the support of private coaches, her mother, and God, Amelia auditioned to be a feature twirler for Big 12 schools near her hometown during her senior year of high school. When she didn’t make the cut for any of the schools, Amelia began to think she wasn’t meant to be a feature twirler: “This was my life-long dream and what I have been working for. When I didn’t get accepted to any of the programs, I considered hanging the dream up and I would just pursue journalism. My mom said ‘Don’t give up. There is going to be a sign and God has put this obstacle in front of us because he has something better for you.’ Those were her words, and at the time I could to think of a good situation that would come out of this. I was done.” Amelia’s mother knew that this wasn’t the end of her career, and she was right. When Amelia is not looking fabulous on the field, she is working hard to build a career in Broadcast Journalism. She is an on-air member of the J.A.MS broadcasting subcommittee See You Weekly and a member of the Society of Professional Journalists. She is also an active member of Gamma Phi Beta Sorority, volunteers with the Girl Scouts of Central Illinois, and is a Copy Editor of The Odyssey, a Greek-based campus newspaper. Despite her strenuous practice schedule–which required Amelia to dedicate two hours a day for five days a week, not including the time she spends practicing on her own–Amelia steps out on that field each and every time like she was born to be a feature twirler. Today, Amelia will be featured in the homecoming pep rally where she will be twirling fire batons. For Amelia, it’s even easier done than said.